Travel back to the 80's arcade days with this compilation of all three Double Dragon games, and relive a record-shattering classic right on your Android. 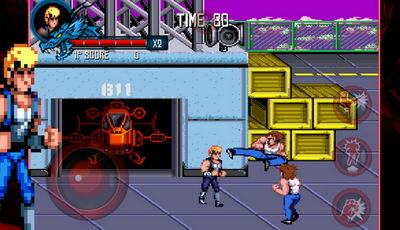 Double Dragon Trilogy includes all 3 games in the series, and has been optimized for the modern phones and tablets. Follow martial artists Billy and his brother Jimmy on their adventure to rescue Billy's girlfriend. 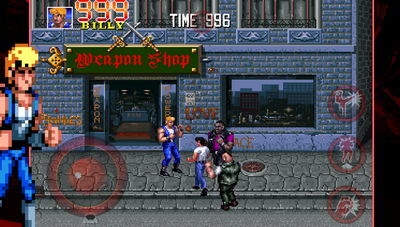 Use punches, kicks, knees, head-butts plus a bunch of weapons (knives, bats, etc) to defeat the baddies and save the girl. Beat ‘em all now and become an undisputed hero! - Play in Arcade Mode where you aim for the high score, or the Story Mode where you get to unlock new stages and achievements as you play. Install apk, Move data folder to sdcard Android/Obb , and play the game.